Over the last couple of days there has been a rather vigorous and often quite heated discussion on one of the saxophone related groups I’m a member of on the subject of changes in the music industry and how it affects employment opportunities for musicians…..and of course, since it was a saxophone related group, how it affects employment opportunities for saxophone players. Now before I go any further, here’s a disclosure: I have not played a gig for money or in public for over eight years. The reason for my retirement is that I have suffered two strokes which have left me with some physical disabilities which severely limit my ability to play. This is not to say that I am not involved with many different aspects of the music business all day, every day…..I’m just stating for the record that I do not play professionally or publicly, and have not done so for some time. Prior to my strokes, I typically played six nights a week, every week, and often played as many as three gigs a day. Now back to the discussion of employment opportunities in the current music environment……I still have many friends and clients who today are working as much as I ever did, and for top dollar. Not just a couple of guys, but a significant number of them. I think this begs the question of “why are these players successful in a market where others fail?”……assuming for the purposes of this discussion that everyone on both sides of the argument has adequate musical skills, then what’s the difference? 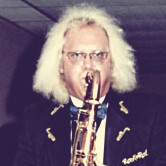 Every saxophone player is essentially an independent contractor and business owner. Players fail in this industry because they do not treat their musical career as a business. For the purposes of our discussion here, let’s consider another type of business with which we are all familiar: a restaurant. If you want to have a prayer of success in the highly competitive restaurant business, I think we would all probably agree that you have to offer a product that consumers actually want to buy, and that the product meets their expectations and tastes good to them. I think that if we apply these criteria, we can all easily understand why all spinach restaurants have never really caught on with the buying public: spinach may be extremely nutritious and good for you, but the simple fact of the matter is that most people just don’t like the taste, and given a variety of menu choices, very few diners will voluntarily order spinach. This “taste test” applies equally to music. If the buying public does not like the taste of your product, or the sound of your music, then they will not buy it. You will then be forced to seek other employment. It was alleged in the discussion that there was a vast conspiracy of lawyers, record company executives, media owners, and other un-named yet equally nefarious individuals who controlled which music was offered to the public and force fed certain formats, and prevented the distribution of music that was not approved by their conspiratorial cartel. Please don’t insult my intelligence by repeating this totally bogus argument…..in this Age of the Internet, you can easily distribute samples of what you have to offer…..if people like it, they will seek it out and buy it….if they don’t like it, they will ignore it. You don’t need a record label anymore. If your music does not have, in the opinion of the record labels, any commercial potential or demand, you can easily set up a web site offering your products for sale and attempt to prove them wrong. I don’t want to come off as being totally negative on the subject of music being a viable occupation. It was very good to me when I was a player, and it is very good to me today. We also have many friends and business associates who are doing quite well in the current market. In every case that I know of, the musicians who are successful understand that they call it the Music Business for a reason, an d treat it as such. Here are some free tips on things I found that worked well for me……they’re not costing you anything, so don’t whine and complain……. I think this is the biggest mistake players make. When I played in Vince Vance’s band, Vince used to say that if you looked out into the audience and the crowd wasn’t singing along, you just played the wrong tune. Musicians tend to forget why people come to clubs and concerts. They come to be entertained and to forget their troubles. If they wanted a musical education, they would enroll in a music appreciation class at the local junior college. Seriously, guys, playing Wayne Shorter tunes is a very bad idea in the vast majority of venues. The audience has visual expectations that you should not ignore. The crowd should be able to take one quick look at you and determine that you are not just another member of the audience. I think in the course of the discussion I was reading one of the jazz superstars was bad mouthing stage lighting, smoke machines, and pyro……bring ‘em on, says I……and raise the ticket prices accordingly…..it’s an important part of the overall entertainment experience…..I note with interest that the successful acts all make liberal use of it, but the posers and wannabe’s rarely do…..yes, I always used it on bar gigs……and yes, I always insisted that pachouli oil be added to the smoke machine so the stage smelled like hippie girls……hippie girls are well known friends to all saxophonists, but that’s another story for another time…. Start on time, take reasonable breaks, do all the things you would expect a good employee to do…..
DON’T ASSOCIATE WITH OTHER MUSICIANS WHO ARE NOT WORKING…..
DON’T EXPECT WORK TO JUST COME TO YOU…..YOU HAVE TO FIND IT….. When I moved to New Orleans 20 years ago, I knew exactly two people in the local music business: my wife Sharon, who was a sound engineer, and Charles Neville of The Neville Brothers…..I spent weeks figuring out which venues were viable (meaning they actually paid what I was worth), targeting them, and then making myself known there. Don’t waste your time and business cards on sub-par venues…..you have to get out and solicit the work…..there are lots of guys who sit by the phone all night waiting for it to ring, or believing they are entitled to a gig because they can play Giant Steps with one hand tied behind their back ……seriously, kids, particularly if you’re new in town, expend a little shoe leather……. DON’T BE AFRAID TO CREATE YOUR OWN EMPLOYMENT OPPORTUNITIES…. Once you get yourself established, you can do this sort of thing with disgusting regularity……unless, of course, you consider it musically beneath you……. 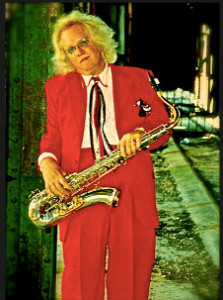 One of the most amusing things flung against the wall in the recent discussion was the contention that there were only about 15 or less people actively touring with rock and country bands…..I’m sorry, boys and girls, but my tiny saxophone manufacturing company has more people than that under Endorsing Artist agreements, and the vast majority of them are doing very well financially, some of them exceptionally well. We know lots and lots of people who do this sort of playing for a living…..in fact, they are our primary market for our products. I guess if your gig experience is limited to wedding bands and Sunday Jazz Brunch gigs and CD’s you record in your living room and sell only on your website, you might not have a very good perspective as to what it means to be really successful in this business. We try to provide a continuous steam of information to the saxophone community about our research, along with plenty of historical information and other items we think would be of interest. If you know something or have some information, then you should share it. Although as a matter of disclosure I am a paid employee of The Saxophone Journal, we do consider our column in every issue about saxophone design to be a part of this outreach. We also are occasionally hired by other publications to contribute articles. One of the charges leveled at me was that it had been so long since I had played that my perspectives were not relevant. Well, if you don’t stay in touch with what’s going on out there, it’s very easy for that to happen. We try to make a point of adding young successful artists (Rob Ingraham, Vincent Broussard as examples) to our stable of endorsers in addition to the older established artists (such as Tom Scott, Ron Holloway, and Charles Neville) so we get the benefit of experience and fresh perspectives. You should use the same approach with your career. I think the only thing that is certain about the music industry is that it is constantly changing and evolving. With the exception of some nostalgia acts, you need to constantly evaluate the current state of the business, and adjust your approach accordingly. They call it the Music Business for a reason……if you choose to participate, then you need to treat it LIKE a business and act like a business owner, because that is exactly what you are!